This little man was one of the easiest newborn clients I've ever had the pleasure of photographing. 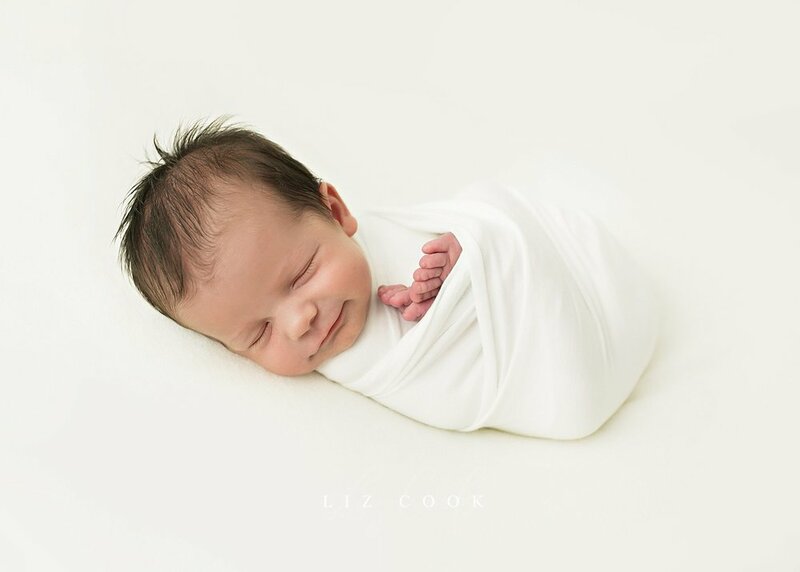 He was as happy as can be all swaddled, curled up, and snuggled for his portrait session here in the studio! All of the blankets and wraps you see in this session were provided by me and are always included in the cost of my newborn session fee. There is no need for parents to bring anything but themselves, their brand new baby, and a diaper bag of their own essentials. Here at the studio I have diapers in all sizes, wipes, hair brushes, blankets, swaddlers, wraps, and even the coveted Baby Shusher (newborn parents - if you don't own one of these you need one today!). The goal of my photo sessions is to create beautiful imagery while also providing a relaxing environment for everyone involved. 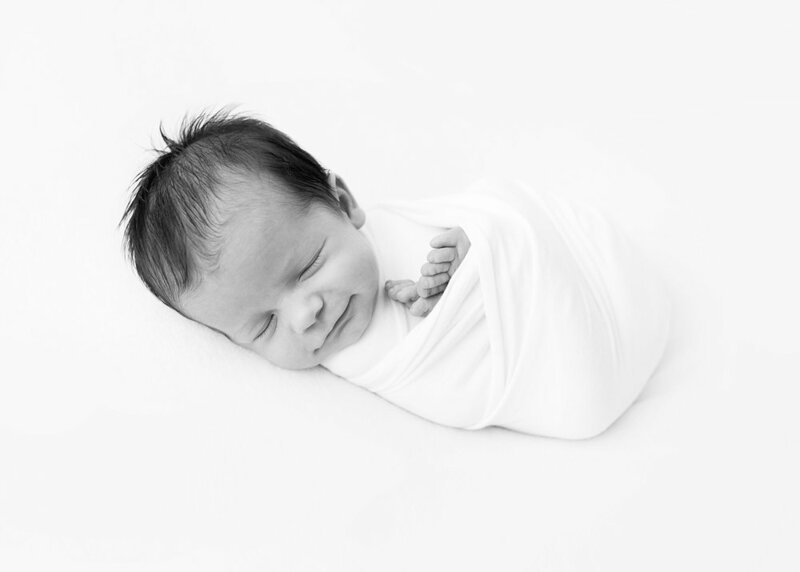 Peter's parents opted for two newborn sessions; one at the studio and one in their home in his brand new nursery. (In-home newborn sessions are reserved for clients who book 3 or more photo sessions with me in their baby's first year.) For the studio session they wanted it to be all about him, so while I worked with Peter on the beanbag, they took this time to rest on the studio couch and enjoy a little time-off from parenting for a few hours! Soon I'll share pictures of the lifestyle session in their home so you can see the whole family together (and how natural and great they are as first time parents)! For now, here are a few of my favorites from my time with this little guy all by himself!